Welcome to volume 112! I have had many requests to make a follow-up to the southern rock-inspired Vol65. That will happen, but before-hand, this will definitely be of interest to those of you who like southern rock and it is every-bit as enjoyable as that volume. 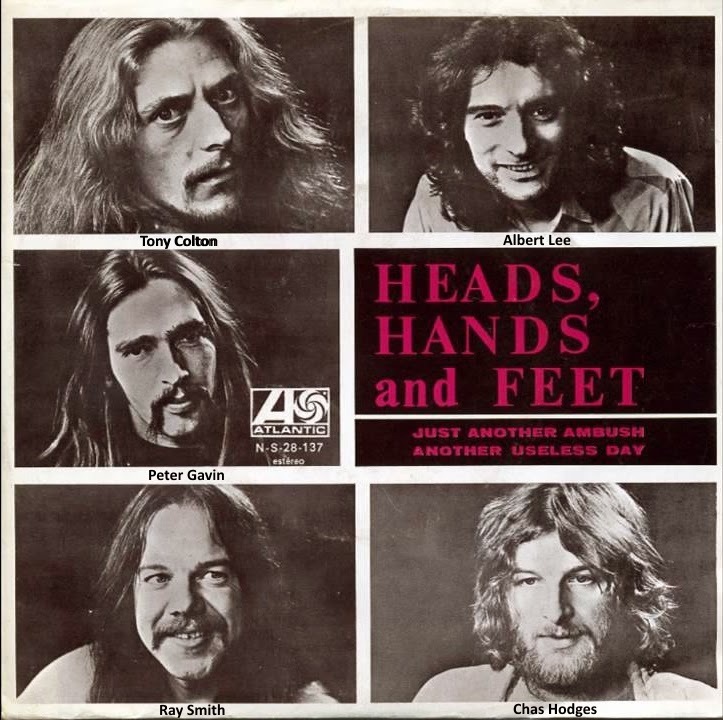 The completion of this comp was triggered by a band I discovered quite recently called Heads Hands & Feet. They were an English act based in London, that were around for a few short years. 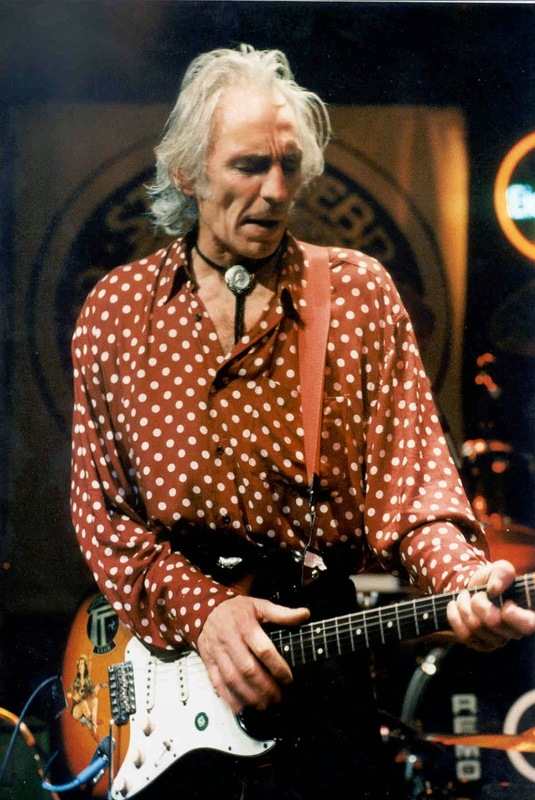 They specialised in good-time bar room blues and US style country rock, similar in places to Lynyrd Skynyrd but with more focus on honky-tonk (stay with me) and country, not so much the hard rock, and they were an early band for renowned guitarist Albert Lee. I adored their honest, good-natured sound as soon as heard it, and it reminded me of a few other UK bands that had a similar thing going on. Thus the idea for this volume arose, and I hunted down some more UK-based acts that rocked in the finest of American tradition. I'm glad to say all these bands are new to TDATS, so making it has been a great pleasure and a complete learning experience. Having recently become acquainted with the likes of Heads Hands & Feet, Gypsy, Cochise, Hookfoot and Quiver (although not a band that would fit in a TDATS comp, Quiver guitarist Tim Renwick does appear in this comp), i'm surprised I hadn't run into many of them sooner. Maybe one of the reasons is that these bands have been largely passed-over, despite the fact that they included a lot of very talented players who were in other bands that received a lot more attention. Speaking of such, the lineups of the bands in this volume read a little like a who's who of British journeyman/session musicians. Although they may have not achieved long-term international fame, they were "musician's" bands and you can at least say that they were not motivated by commercial success, but doing what they did for the love of it. In fact, researching this has become something of an incredible adventure through the halls and archives of British virtuoso guitarists that all missed the spotlight. In a short digression, although this volume doesn't really delve into it, some of the bands included here were closely tied to the "Pub Rock" scene in the UK. Exemplified by bands such as Bees Make The Honey and Brinsley Schwarz. It's said that pub rock was a retreat back to the roots of country & rock'n roll, partly in reaction to the wanton excesses of the burgeoning progressive rock movements. In that respect it shares the ideals of punk rock. 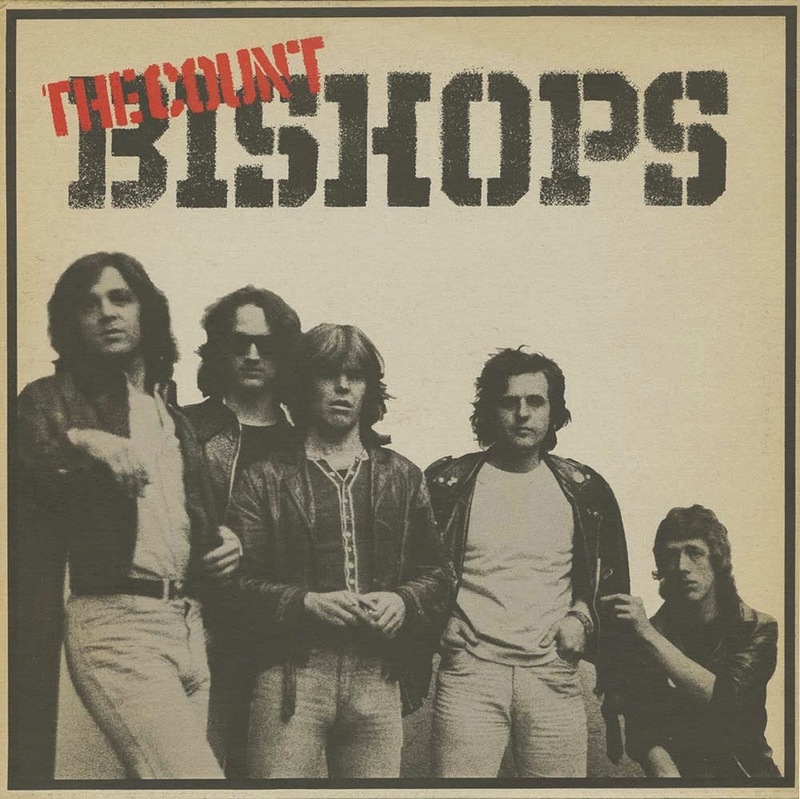 Some of the later pub rock names, like The Count Bishops and Elvis Costello, indeed crossed over into punk territory. 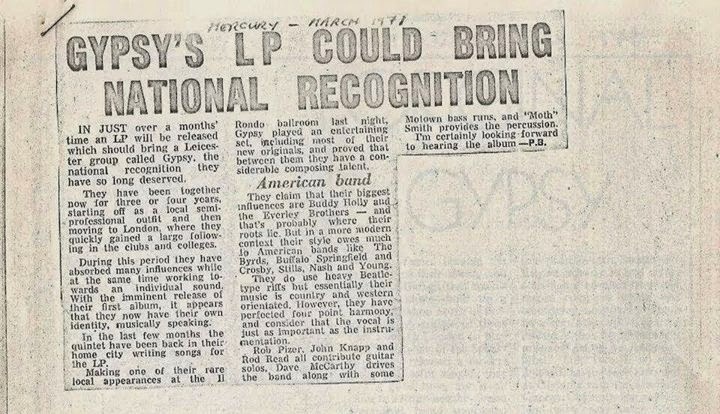 One of the catalysts of pub rock was the residency of a US (New York) band called Eggs Over Easy at the Tally Ho pub in Kentish Town, north London. They set-up there while recording over in London, and their countrified blues became a big hit, filling the pub every night. Soon they were being requested at larger venues like The Marquee. Another originator of the pub rock sound was a band that is included here, the modestly-named Legend, from Southend. 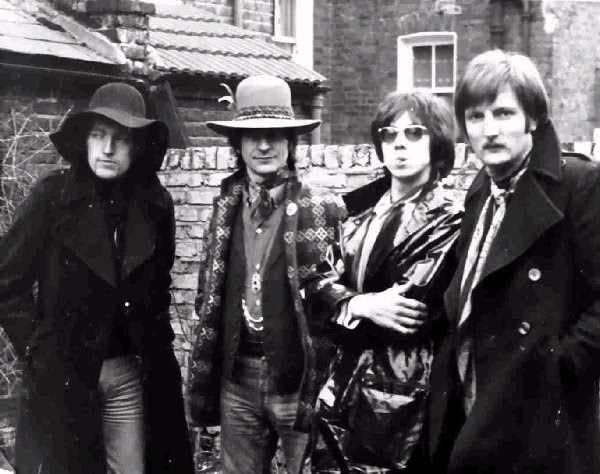 Velvet Opera started out as the Coventry-based Elmer Gantry's Velvet Opera in 1967. 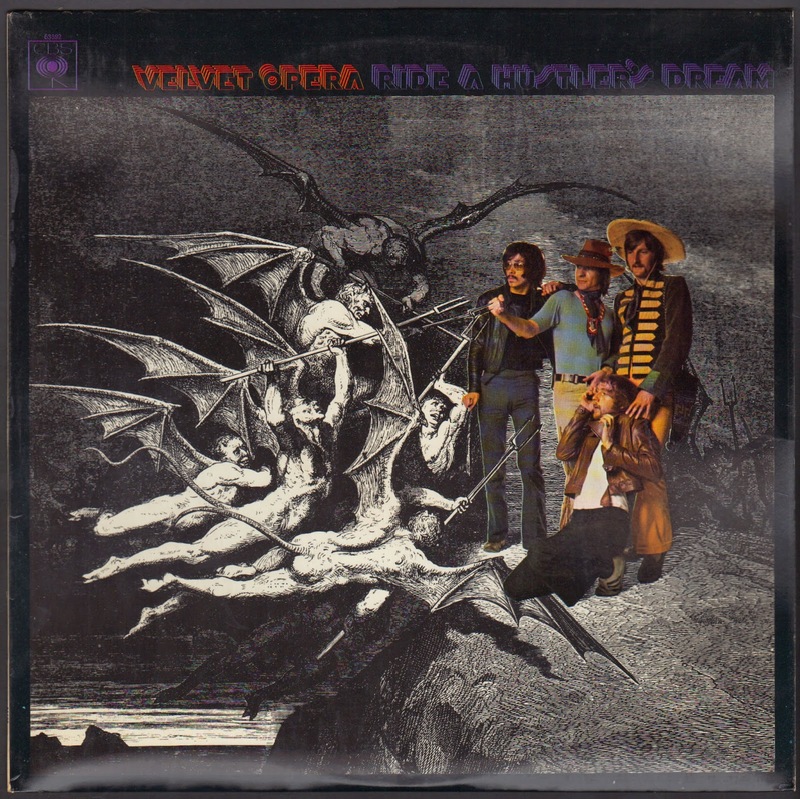 On their first uneven psychedelic pop album was a monster heavy single called "Flames", which was a favoured cover when Led Zep was starting out. They included Richard Hudson and John Ford who would later be in The Strawbs (see Vol94). The leader at the beginning was the charismatic Elmer Gantry (named after the evangelist played by Burt Lancaster in the 1960 film - real name David Terry). Gantry became notorious for participating in the "fake" Fleetwood Mac that toured the U.S. in 1974; that group renamed themselves from Legs to Stretch and had a Top 20 hit in Britain that was inspired by the sordid incident, "Why Did You Do It?" (youtube). Gantry left soon after the first Velvet Opera album and the remaining band continued as Velvet Opera, recruiting new singer/guitarist Paul Brett. They made one final album in 1969 called "Ride A Hustler's Dream", from which the opening tunes on this volume are taken. After the whimsical, sometimes-heavy psych of the first album, Velvet Opera adopted a less erratic sound and took on some US blues/country rock sound too, as you can hear in their loving cover of Blind Willie McTell's Statesboro Blues. Cliff Bennett is one of those names that has had run-ins with many in the rock industry, and many shaves with success, but never became a big name. He started out in '60s beat and had his own band Cliff Bennett and The Rebel Rousers, of which Chas Hodges was once a member, who will reappear here in Heads Hands & Feet. 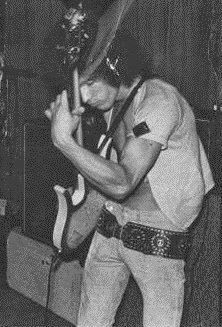 In the '70s Cliff was a formative member of Toe Fat and Shanghai. In 1971 one of his many projects was the Cliff Bennett's Rebellion album, from which I have used a bonus track on the Repertoire re-issue. The Rebellion lineup was Cliff (vocals), John Gray (bass). Marek Kluczynski (harmonica, flute), Robert Smith (guitar) and Derek Weir (percussion). 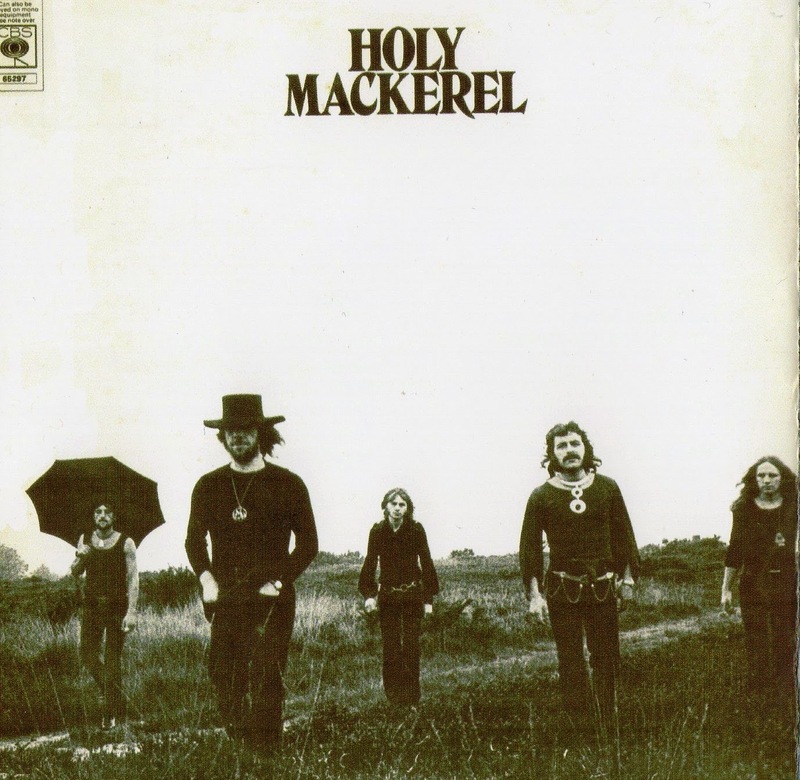 It would appear that Marek "Micki" Kluczynski (deceased 2009) was the same guy who became a key member of the Pink Floyd touring crew from 1972 and for many years was the production director of The BRIT Awards, the British equivalent of the Grammys. Here Cliff showed his appreciation of rural US sounds by covering a classic Jerry Reed swamp rocker 'Amos Moses'. A great song with funny lyrics. 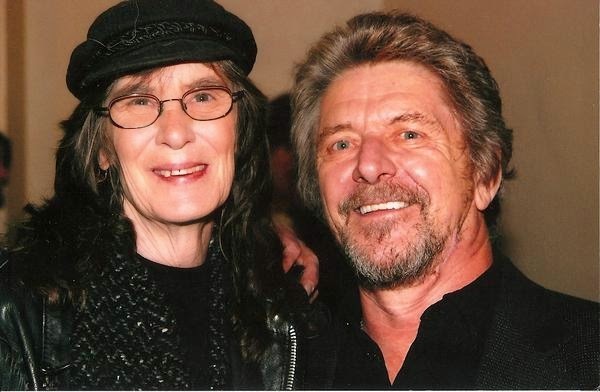 Steve Gibbons is up next, he started out in The Dominettes, The Uglys, and then a late lineup of psych band The Idle Race, which made an abrupt turn in the early '70s and took on a lot of US southern / country rock sound on their last album. Steve joined them at the very end of their life and that is the direction they maintained when he took over. 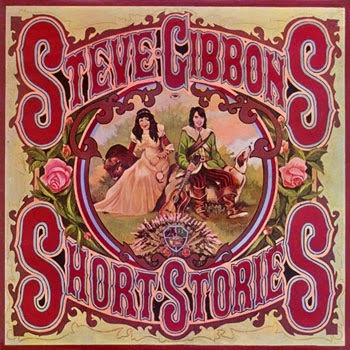 The band made an album under Steve's solo name, then morphed fully into The Steve Gibbons Band. I have used the seventh track (B2) on the first Steve Gibbons album, "Bye Bye Buffalo". It's interesting to observe that this album seems to have been a bit of a muso's get-together, and Albert Lee plays on much of it, including Bye Bye Buffalo. This has a great sound with a native American influence and sympathies towards native American's historical plights. Also contributing on the album is Gerry Conway (Fairport Convention, Matthews' Southern Comfort), Alan White (Yes), Mike Kellie (Art, Spooky Tooth), Greg Ridley (Humble Pie, Spooky Tooth) and Pat Donaldson (Poet And The One Man Band). I have encountered some of these names in researching this volume, and some of them appear in it. It would seem to confirm the notion that there was a bit of movement going on in the UK for US style country rock at the time. Steve's act continued into the 2000's as a straight southern rock band, becoming known in the US, and popular in Germany. Now in his seventies, he has played as recently as last year. For the fifth track here we encounter another pub rock name, Legend. They originated in the coastal town of Southend, the traditional sea-side haunt for Londoners which also boasts the longest leisure pier in the world. 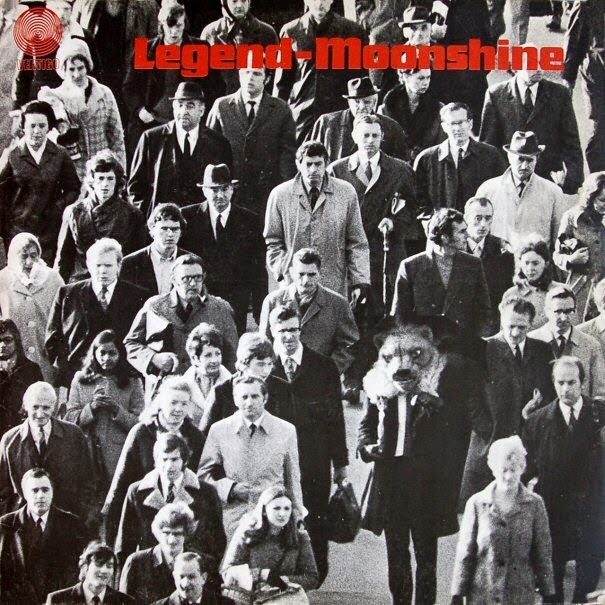 I have taken a track from their third and final album which, in terms of country rock, is aptly-named "Moonshine". It's a brilliant stick of funky, groovy (seaside) rock. Southend had been quite a fertile place for rock'n roll since the days of skiffle. Robin Trower started his first band The Paramounts there, which Mick Jagger claimed was the best R&B band in the UK at one point. Following in the '70s were pub rock originators Dr Feelgood, The Kursaal Flyers and Eddie & The Hot Rods. The close-yet-far proximity to London (the last train back from Fenchurch station was 12:25am) allowed the town to develop it's own rock identity; influenced by London scenes, but not quite the same. Southend's pub rock scene started with Mickey Jupp, he had local success in the mid-sixties with The Black Diamonds and The Orioles. In 1968 he started Legend, which made three albums. Listening to them all, it's clear that no matter what they were playing, be it doo-wop, rock'n roll, pop or blues, their main priority was have fun! 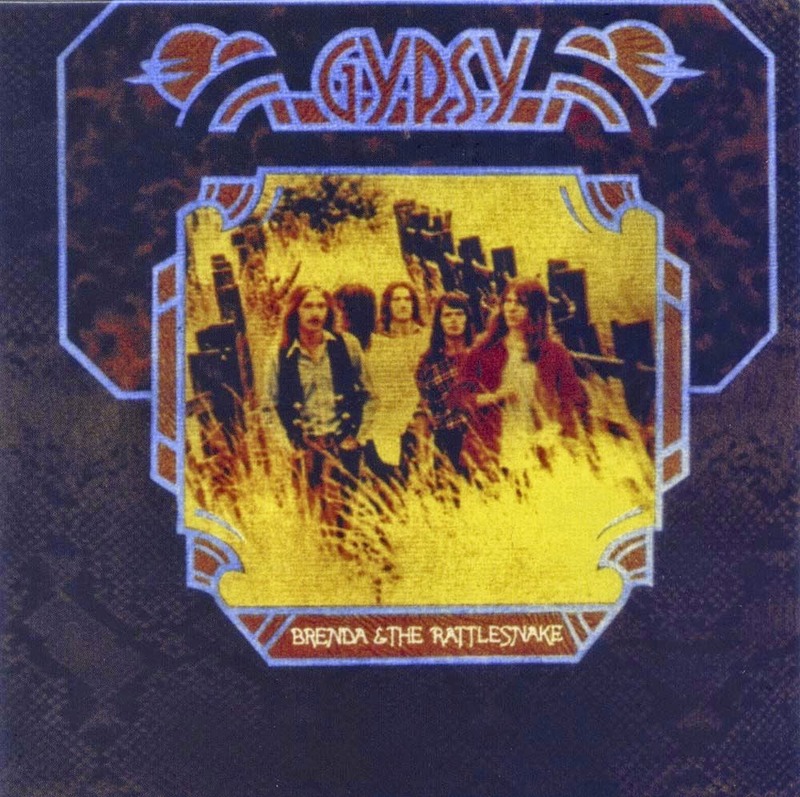 On the final album they went in for a sound of two halves, there were some of the most rocking songs they have done, in "Moonshine", "Captain Cool" and "Shine On My Shoes", and there were some big, sweeping, orchestrated ballads like "Another Guy", "Mother Of My Child" and "The Writer Of Songs". Never let it be said that pub rock bands like to be predictable or one track-minded. Legend disbanded in '72 and Micky started a solo band in 1975, which made albums and existed in various forms until the 2000's. In February 2009 the early Legend line-up of Chris East (guitar/vocals), Mo Witham (guitar), John Bobin (bass), Bob Clouter (drums) and Mickey self-released a new album, "Never Too Old To Rock", featuring a selection of Jupp–East songs written over the previous twenty years. Half way through this collection now, Hookfoot steps in. 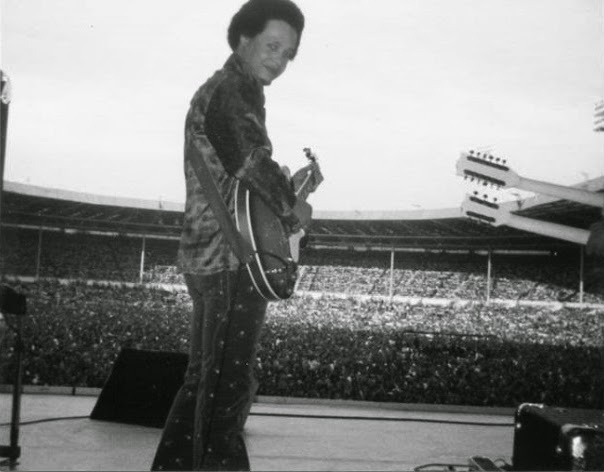 They were formed by guitarist Caleb Quaye of John Baldry's backing band, Bluesology, which also featured a keyboard player named Reg Dwight, soon to become known as Elton John. Interestingly, Caleb is the older half-brother of singer Finley Quaye who had a brief dalliance with the UK pop charts in the late '90s. After releasing a good solo single called 'Baby Your Phrasing Is Bad' (youtube) in 1967, Quaye got together with Ian Duck (vocals, guitars and harmonica), Roger Pope (drums) and David Glover (bass) to form Hookfoot while they were all working for the DJM label. DJM was the home to Elton John early on in his solo career and Hookfoot were John's backing band on his first output for the label. 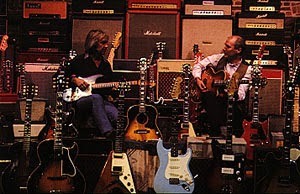 They were also hired hands for many other artists, including Mick Grabham's solo album, who appears in this volume in Guitar Orchestra and Cochise. The band made 4 albums up until their demise in 1974 and I have chosen the opener called "Tradin' Riffs" from their final album, "Roaring". By this time bass duties had been taken over from Dave Glover by Freddy Gandy. In 1982, Quaye became an evangelist and is now the National Worship Director for the Foursquare denomination, ministering throughout the United States, England and Europe. According to theguitarbuzz.com (link) Quaye was playing in a Jazz Rock Fusion band called The Faculty as recently as 2012 (youtube). 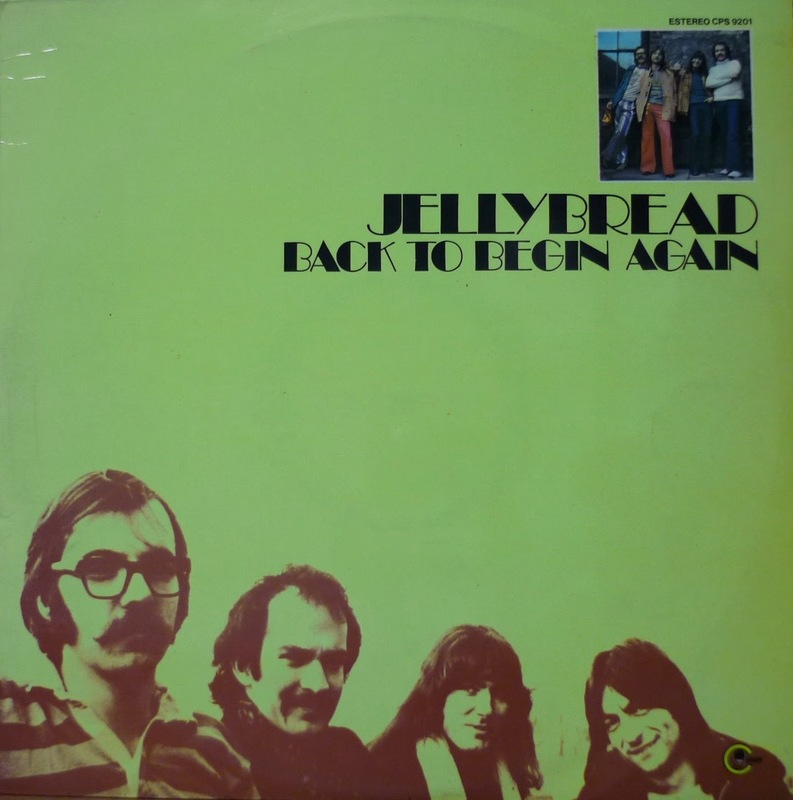 Passing through track 8 and Poet And The One Man Band, which has been covered along with Heads Hands & Feet, we'll go straight to Jellybread's country-funktastic "Green Eyed Gypsy Queen". 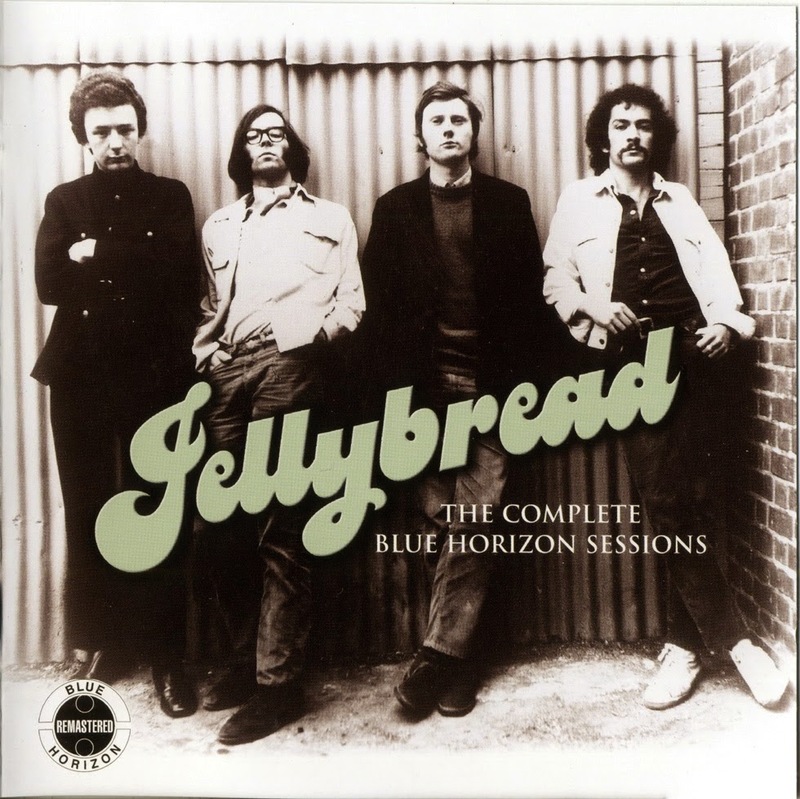 I find the first three Jellybread albums to be unremarkable, pedestrian, straight-blues. They got a real shot in the arm for the fourth, "Back To Begin Again". Maybe the name says it all. They do sound like a different band, beginning again, and the addition of Rick Birkett on guitar (ex-Accent see Vol57) and Kenny Lamb (drums) must have been a contributing factor. On this one they play predominantly hard, funky, country-tinged tunes, with much more attitude in Paul Butler's vocals. Maybe spurred on by the harder hitting music? To track 10 now, and a Liverpool band called Pacific Drift. They were Barry Reynolds (guitar, vocals), Brian Chapman (keyboards, vocals), Graham Harrop (guitar, bass), Lawrence Arendes (drums), Jack Lancaster (sax, woodwind) and Dave Davani (horns). 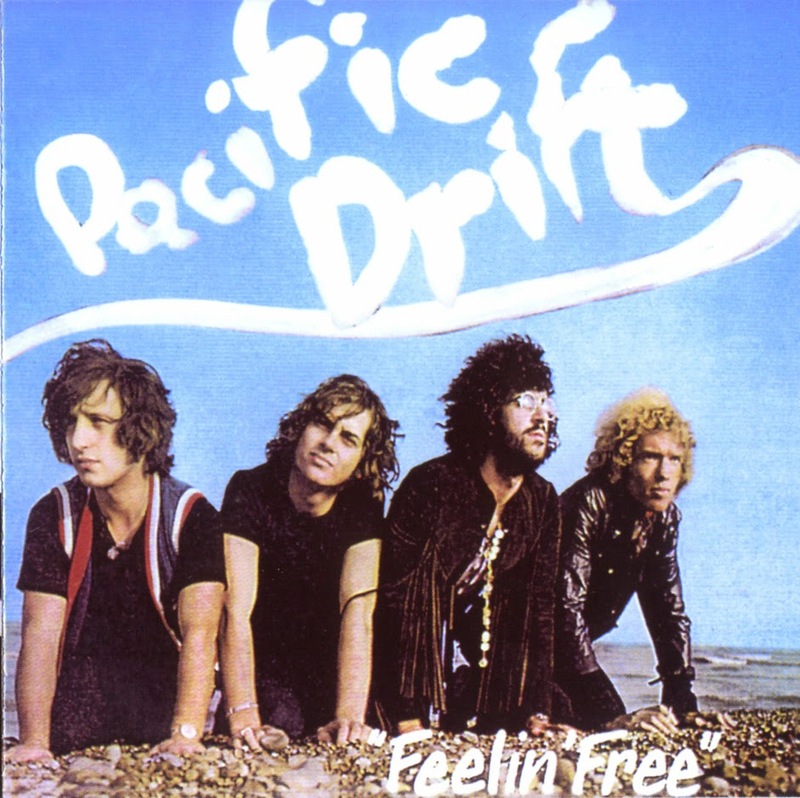 Pacific drift was previously called Sponge, when Jack Lancaster was poached by Mick Abrahams to form Blodwyn Pig, so they made up the numbers with Larry Arendes (ex-Wimple Winch) and became Pacific Drift. 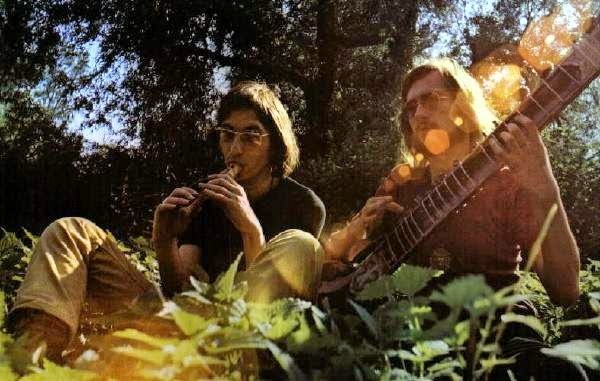 They made one album in 1970. 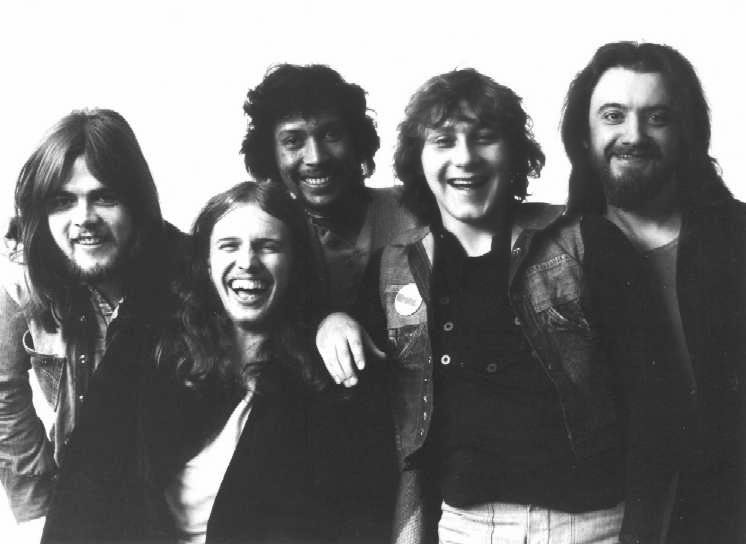 The quartet’s debut single, a version of Spirit’s ‘Water Woman’, was followed by the 1970 self-titled album, "Feelin' Free". It had an eclectic mix of styles, jazzy pop to blues, and even a hint of country as on "Just Another Girl" that I used here. Below is a clip of them playing a half hour set for French TV, it starts with "Just Another Girl", sounding quite different to the record, with no lead guitar and no backing vocals. For track 11 is a very special find indeed. Actually more than just special, it's some kind of one-time-only occurrence almost without precedent. 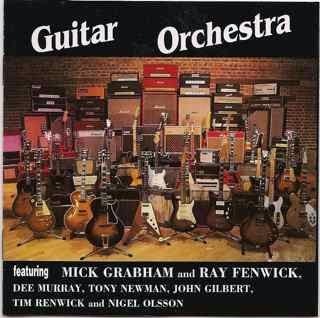 I came across the album by the name of "Guitar Orchestra" while looking into the side-projects of Mick Grabham and Ray Fenwick. I tracked it down and have been knocked over by the quality of stella musicianship that it contains. The story is that guitarist Ray Fenwick (The Spencer Davis Group) and guitarist Mick Grabham (of Cochise, previously of Plastic Penny) met up one day through ex-Plastic Penny drummer Nigel Olsen, when he joined Spencer Davis Group. 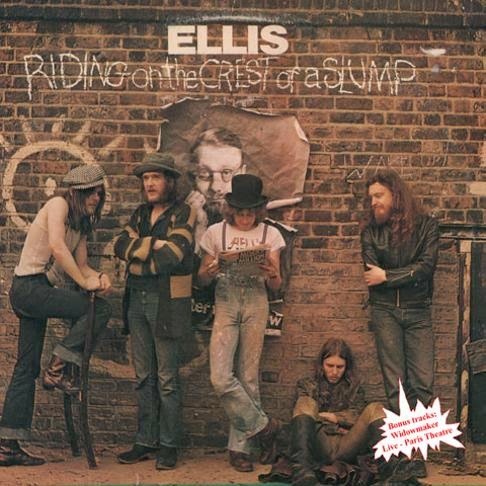 We move on to Ellis, a band which produced two records, the debut being by far the best. 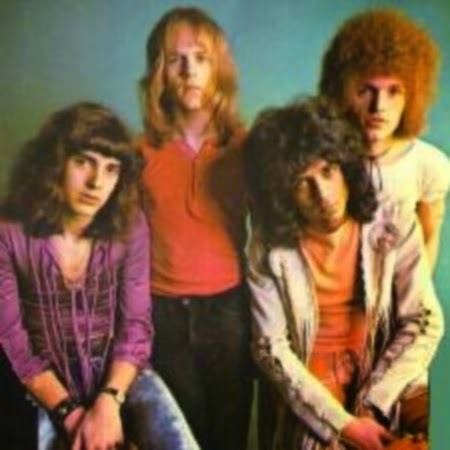 The key members were namesake Steve Ellis (vocals - ex-Love Affair) and 'Zoot' Money, real name George Bruno Money (Keyboards, The Animals, Humble Pie). There's a definite Faces vibe about the LPs, not only in Steve's 'Rod Stewart' rasp, but in their good time barroom sound. The self-deprecatingly titled debut LP "Riding On The Crest Of A Slump" was produced by Roger Daltrey, who Elis was renting from and living next to at the time. Cochise have some relations with Hookfoot, in sound and history. 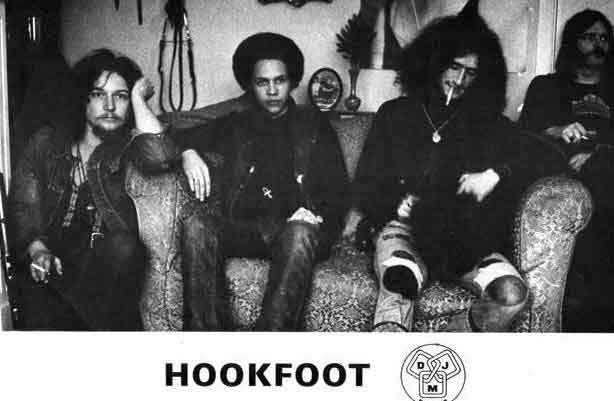 Their first album had the Bluesology singer Stewart Brown, and Cochise founder Mick Grabham filled in on bass for a short time for Hookfoot. Another link to Grabham is that Hookfoot were his backing band on his solo album (link). 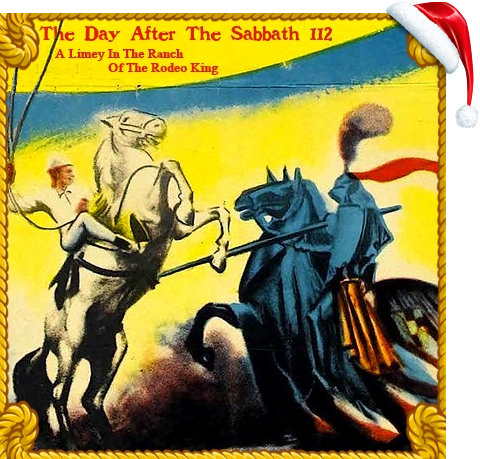 Both bands existed at almost exactly the same time, for the same amount of time, and both made country-hued rock which got a little heavier as their albums progressed. Grabham was previously seen in this comp in Guitar Orchestra. 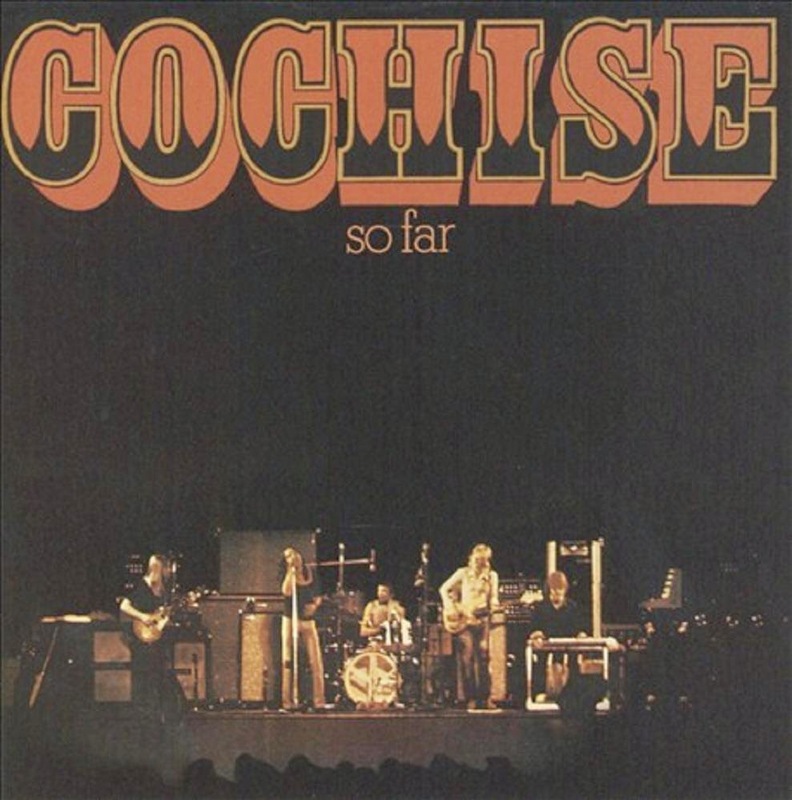 He started Cochise in '69 after the demise of Plastic Penny, who made a couple of psych-pop albums in the late '60s, the second of which was pretty good. In the initial Cochise line-up with Grabham was pedal steel guitarist BJ Cole, ex-Taste drummer John 'Willie' Wilson, and former Jokers Wild bassist Ricky Wills (yes, the Jokers Wild that was Dave Gilmour's first proper band - Dave haunts this article again hehe). I have used a very cool track called "Diamonds" from Cochise's third and final LP, "So Far". This is about as heavy as they got, and the other cuts on this album to go to first are "Cajun Girl" and "Midnight Moonshine". Like Hookfoot, Cochise passed by without making many ripples. If truth be told, they both seem to have been solid bands that were not doing anything new, and lacked a defining image or selling point. Grabhams's biggest claim to fame was afterwards, with his stint as Procol Harum guitarist from 1972 to 1975. His career after this ambled along without much else to mention here, playing with Procol a couple more times over the years. In terms of TDATS interest at least, one can only imagine what might have happened if Guitar Orchestra had become a full-blown act, for Grabham and Fenwick. To our final song for volume 112. This took me a while to track down, and I have now managed to find it, to my great satisfaction. 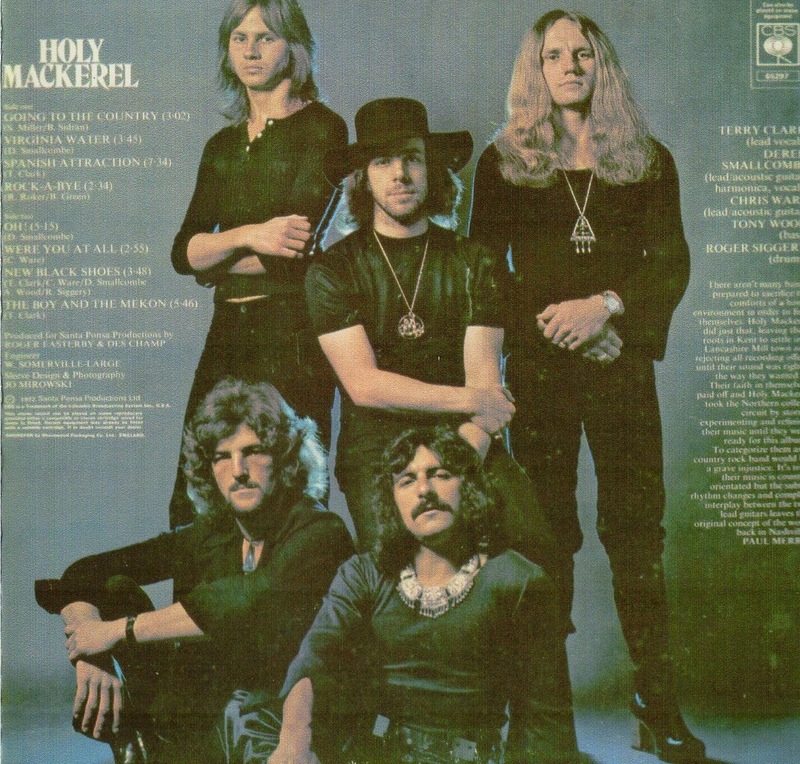 While looking up UK bands online that had been tagged 'country rock', I discovered a completely new one to me, called Holy Mackerel. I did a youtube search for it to see if I could get a quick listen, and low and behold, I soon find a song with "Holy Mackerel - Members of Samuel Prody and Orang-Utan" in the title. Now, alarm bells start ringing. As many of you may know, Orang-Utan was the one-shot London band who recorded a great session one day in 1971. Well, that's the end of this one, thanks for reading and listening, and happy new year! 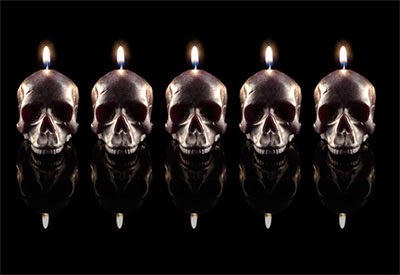 TDATS is five years old today. It's been a great ride, and it will continue to get better. I have much more music to add next year, lots of new ideas, and a lot more interviews with acts that have never been spotlighted before. If you are an obscure rock digger you will surely continue to enjoy the fruits of these searches as much as I do. As usual, drop me advice and ideas to aftersabbath@live.co.uk if you feel so-inclined, or contribute at the fb group which now has almost 4000 members, wow! This year saw the creation of TDATS radio, which is still in early days and will hopefully get an upgrade in 2015 if it gets enough listeners. Thanks to all who support, comment on, and encourage The Day After The Sabbath. Enjoy this year-end's festivities and see you again here soon! 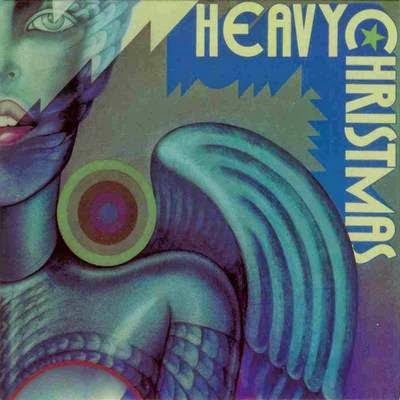 "Heavy Christmas" is a christmas-themed krautrock sampler put out in 1971 on the Pilz label, the home at the time of bands such as Dies Irae, Virus, Joy Unlimited and Rufus Zuphall. Expecting such a thing to be possibly a little more than embarrassing, It really is a surprisingly excellent collection of German prog, most of which is exclusive to this record. There's a couple of fun tracks from "Libido", a band seemingly created for this set that consisted of Achim Reichel (guitar, vocals) and Frank Dostal (vocals) who were the backbone of "A.R. & Machines" and earlier, The Rattles. You can hear a bit of their spacey guitars at the end of "Evolution" that is reminiscent of A.R. & Machines. So what's the original German name of the "Ecce Navicule" song? Hans: "Es kommt ein Schiff geladen..." means "There comes a ship a-loaden..."
The Latin text "Ecce Navicula" means "Look there, the ship..."
"Ecce Navicula" is also used as a bonus track on Amber Soundroom's reissue of "Imaginations of Light", which was Flute & Voice's first album. The rest is all of high quality and you can't go wrong with the likes of strong tracks from Joy Unlimited and the pipes of Joy Fleming, Marcel, Virus and Dies Irea's brutal version of "Silent Night" (yes you read that correctly). 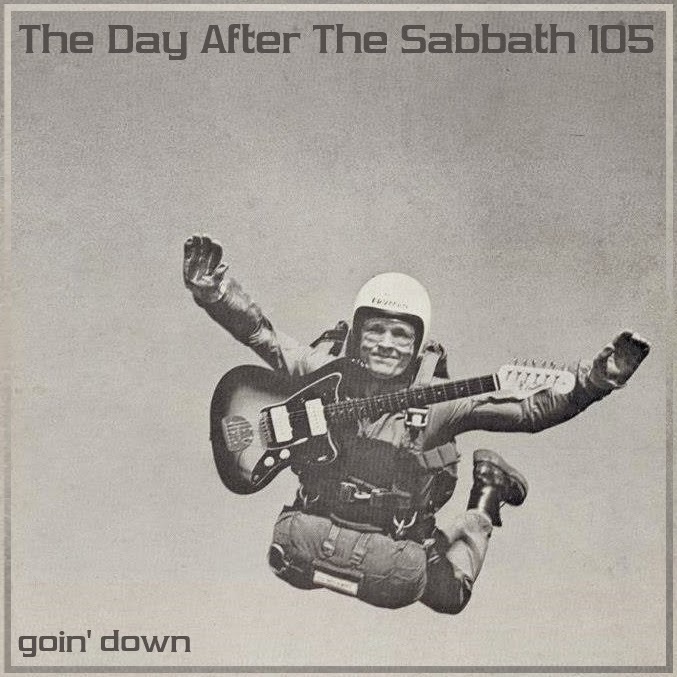 I have added an extra track to Volume 105, the 'Going Down' covers special. This is another version of the song that Don Nix recorded, for radio. If you haven't listened to this volume yet, now would a great time to do so. In the clip, Don himself says that he wrote the song for Elvis Presley, who did not record it, and then says that Freddie King did. So, even Don does not acknowledge Moloch as being the first act to record it. Poor old Moloch! Well, this blog being a shrine to the Underdog, we salute you! You can download the additional track on it's own here if you do not wish to download the whole thing again. Welcome to TDATS #111. Now and again I come across bands that sounded great, but only made some singles and no albums. The first thing I always wonder is, "How come this obviously-talented band were around long enough to make a string of singles and get on a major label, but did not make an album?". 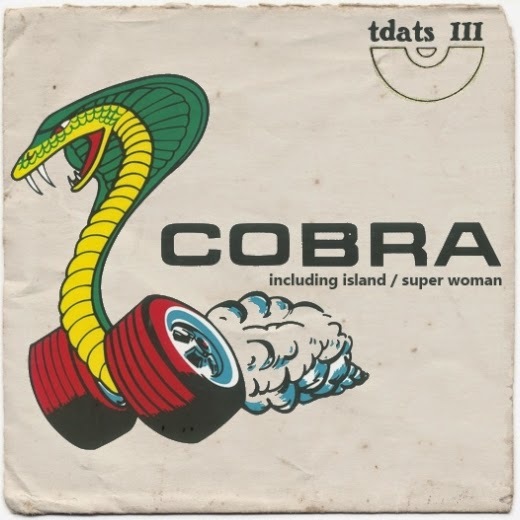 It seems to be a question that arises regarding Dutch bands as often as any other nationality, if not more so, and the band that we are interested in for this episode is Cobra. They had an instantly likable brand of hook-laden rock which encompassed hard rock, pop, glam and blues in such a way that Dutch bands seemed particularly adept. The Netherlands had a great pop scene in the '60s and '70s, and The Hague was the place to be. Bands which started there like Golden Earring, Q65, Supersister and Shocking Blue are still respected the world-over. I'd say it was second only to Hamburg as a go-to European city for aspiring musicians. Often, English names can be found in Dutch bands, such as singer Christine Holmes (ex-Family Dogg, later known as 'Kristine Sparkle') in California License and guitarist Ray Fenwick (The Spencer Davis Group, Tee-Set) who was a founder of After Tea. (Incidentally, I used a ripping Ray Fenwick track back on Vol103). Cobra had a British singer called Winston Gawke. Before his time in mainland Europe he'd already tried his hand in the UK as Winston G and had various backing groups, culminating in The Winston G Set (later called Fox & The Whip). For fact-fans out there, The Winston G Set was also an early band for Huw Lloyd-Langton of ├┤awkШind. Back to Cobra. They made five singles (including one under the name of Island), all of which are great. I have contacted the original guitarist of Cobra, who does an excellent job on all the singles, his name is Rob Vunderink. 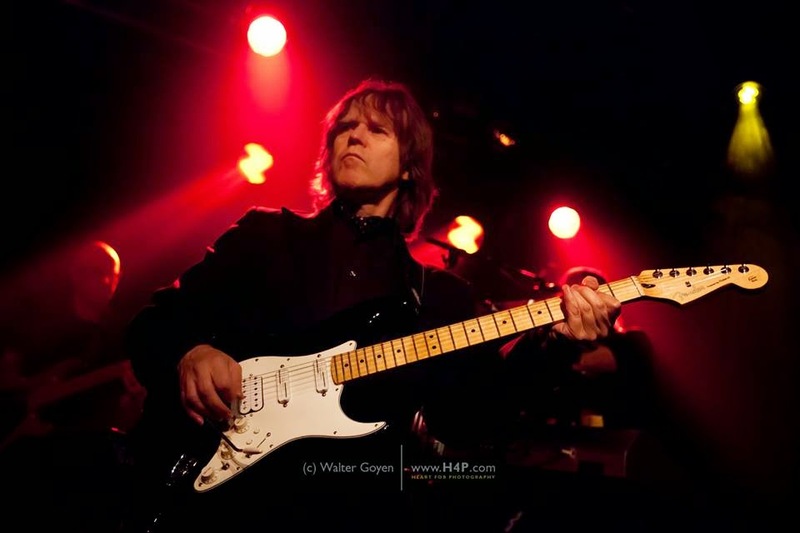 He still works successfully in music and has been a member of distinguished Dutch progsters Kayak since 2001. One of Rob's other notable successes was as a founding member the pop rock band Diesel, which had a number-one single in Canada from an album which was also popular in the US around 1980. The other two main members of Cobra were Michiel Driessen (drums - later in Livin' Blues, Sun, Flair and Monte Carlo) and Paul Heppener (Bass - ex-Confrontation, later in Centaur, Drama, Shocking Blue, Fontessa and Belgian band Otger Dice). Q01. Hi Rob, Thanks for your time! Firstly, can you tell us about your beginnings in music? I was born in Nijmegen. The Van Halen brothers lived here, as did Nina Simone. I got my first guitar when I was sixteen, because I loved the Beatles. Why guitar? That's what they played. I never had lessons, I taught myself and I was in a school band. At a certain point I joined a local top band called The Counts [links: 1, 2] and they had a manager, who became my personal manager also. Q02. What happened after The Counts? My manager called and said the singer of the Yardbirds was looking for a guitarist in Nijmegen. These had been a peculiar German version of The Yardbirds [a bogus, or 'tribute' version] without any real Yardbirds. The singer was Winston Gawke from the UK. I started a band with Winston which was first called Jasper Mule. At this point we also had Joop van Kesteren (bass, ex-Counts, who later went on to Grass) and John Lejeune (drums, ex-Corporation, later to Livin' Blues). Q03. What music were you personally in to at the time? I liked Led Zeppelin, Deep Purple and other hard rock bands. Q04. 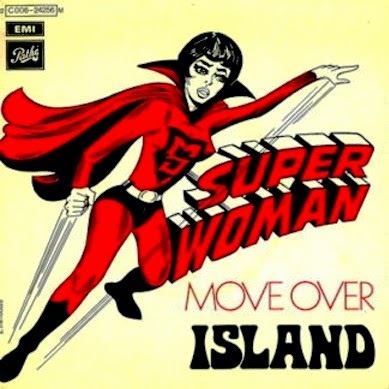 Can you tell me about Island's "Move Over / Super Woman" Single? I know it had some connection to you and Winston. It is fantastic, Super Woman sounds like a lost Led Zep song! I have only heard this side as it was included in a comp at the time called "Hey June", I've not heard the flipside. Winston attracted John van Setten as our manager. John had managed a band called Island previously, which had ceased to exist by this time. He arranged a recording session for us and the resulting songs, "Super Woman / Move Over", were released as an Island single. We had nothing to do with the old Island and it was a one-time occasion. Q05. How did Cobra come about? 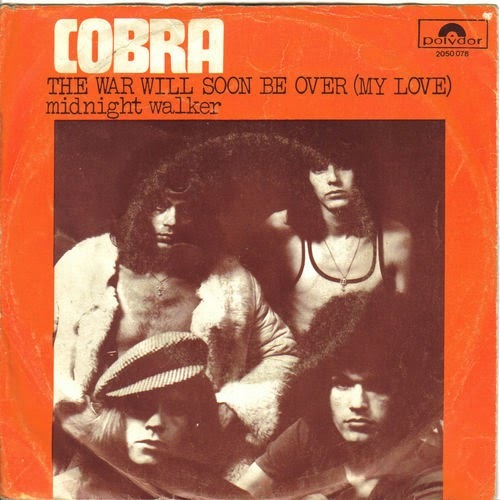 We moved to the Hague in 1969, Michiel Driessen and Paul Heppener then took the roles of drums and bass respectively, and the Cobra lineup was made. At one time Cor van der Beek (Shocking Blue - drums) had one or two rehearsals but didn't join. We got ourselves a record deal with Polydor and after my suggestion for calling the band Grizzley, Winston came up with 'Cobra'. Q06. How did Cobra get signed to the Polydor label? We just went there and talked to Freddy Haayen, who was director and producer for Golden Earring. He produced us himself, including our first single, 'The War Will Soon Be Over (My Love)' which became a hit in Holland. Q07. Was there a big rock scene in The Hague in the early '70s? The Hague was called 'beat city'. Lots of big Dutch bands were from the Hague, like Golden Earring, The Motions, Q65, Supersister and more. Every Tuesday evening musicians would hang out in a place called De Maraton [inc. Q65 and Golden Earring - wiki]. So yes, a big rock scene and a fun place too. Q08. Did Cobra play many gigs or festivals? We played all over Holland, both clubs and festivals. We opened up for Ten Years After in Amsterdam in the early seventies. Alvin Lee was a star then because of Woodstock. Q09. Can you tell us about the four 45s that Cobra released on the Polydor label? I think 'The War Will Soon Be Over' was recorded at the Phonogram studio in Hilversum. I remember it must have been early January 1970. Haayen produced us and Cees Schrama played keyboards [aka 'Crazy Casey', also of Golden Earring, Casey & The Pressure Group - wiki, RYM]. 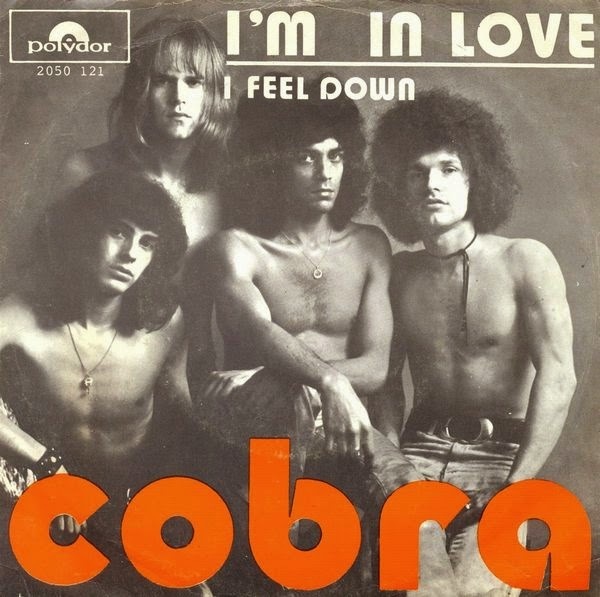 The second single was called 'I'm In Love' and it was a Haayen production too, record at the Soundpush Studio in The Hague. 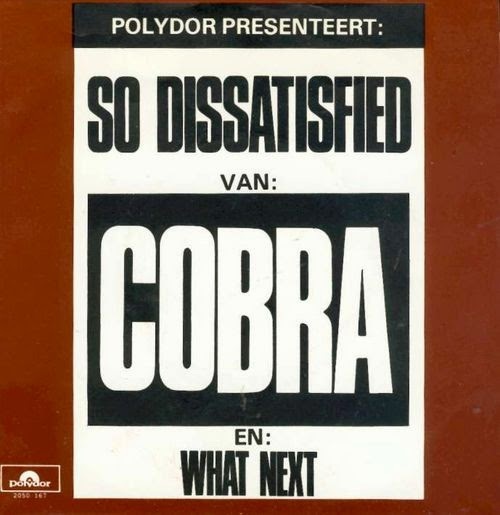 The third single was called 'So Dissatisfied', written and produced by Craig Bolyn from the US [ex-Nazz, prod. Ash Tray], same studio as the first one. 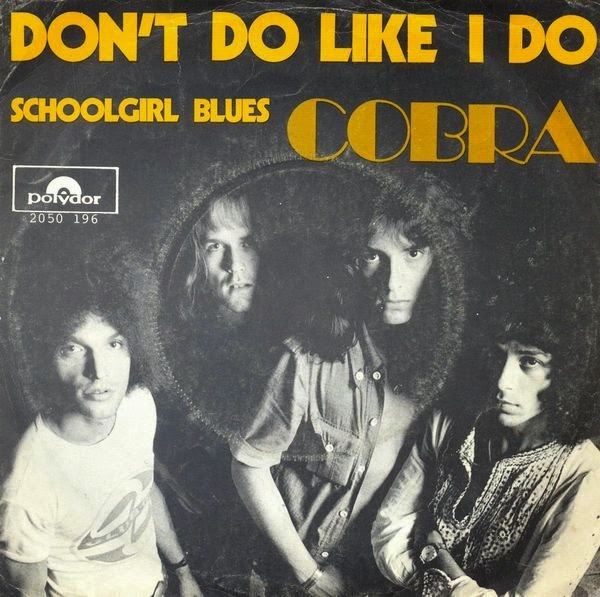 The fourth single 'Don't Do Like I Do' was produced by former Earring drummer Jaap Eggermont, who would peak at Billboard #1 in the band 'Stars On 45' in the '80s. It was recorded at Soundpush also. Q10. Do you have any favourite Cobra songs? Can you remember anything about playing any of them, like ones which were hard to play? I really like So Dissatisfied. I like the bass playing in I'm In Love. There was nothing hard about playing these songs. Q11. I really like Cobra's music, and all the members put in a great performance. While it’s generally got an anthemic sing-along melodic style like 'The War Will Soon Be Over (My Love)', there's glam rock ('Don't Do Like I Do'), and couple of heavier rockers like 'Midnight Walker' and 'I'm in Love'. There's also some slow blues like 'Schoolgirl Blues'. Can you explain your thoughts on the band’s versatility and what influenced the sound of Cobra? Winston was the one who got the band together and he wanted a blues/rock band like Led Zeppelin or Deep Purple. He introduced me to the guitar playing style of Rory Gallagher. The War Will Soon Be Over was the odd one out, actually, but the combination of acoustic and electric playing intrigued some people. Later Winston proposed a style more like Mother's Finest, but that never came off. For blues influence we listened to BB King. Q12. Who were the creative leaders of the band, if there were some? The song writing was done by Winston and me. No songs were written by Michiel and Paul. I think him and me were the creative leaders, if indeed there were any. Q13. There is some extra orchestration on the song 'So Dissatisfied', which sounds like a mellotron/keyboard. Is this correct, and can you remember who played it, or was it put in later? Craig Bolyn experimented with the Moog synthesizer and he got it on board during the recording. He also added some low string guitar work during the guitar solo. Q14. 'Don't Do Like I Do' has some female backing vocals. Who did these vocals and how did that come about? It was Jaap Eggermont's idea. 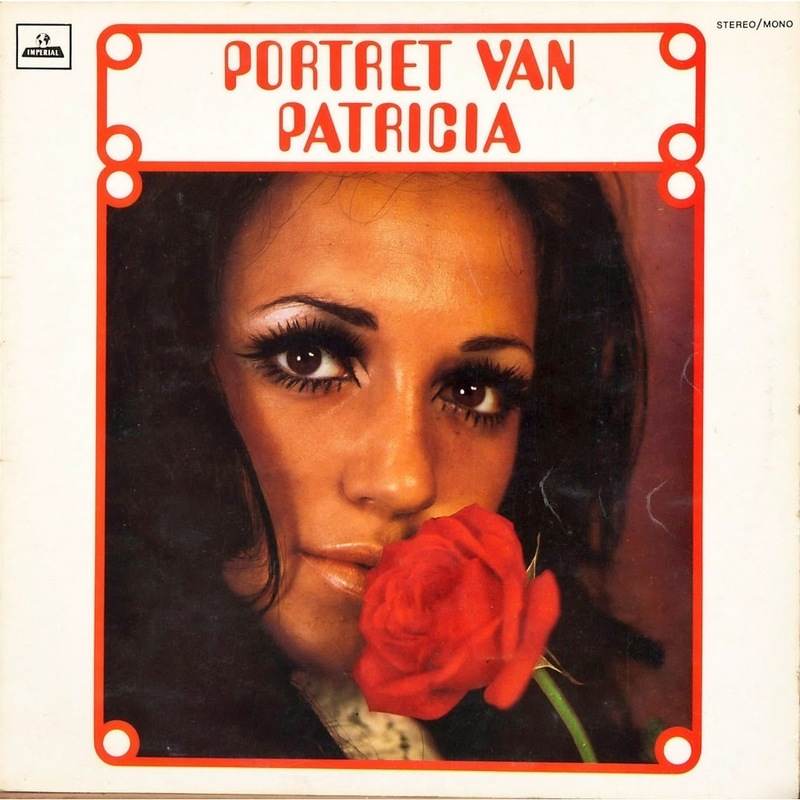 He hired Dutch singer Patricia Paay [radio host, glamour model and television personality - wiki]. We hated Eggermont's production, he fucked it up and didn't even put his name on the record, so he knew he fucked up. The single was a flop. Q15. 'What Next' is a mini progressive epic. It talks about world war, racism, greed and other such issues. It's longer, more philosophical, and quite different to all your other songs. What's the story behind that? It also has a very nice emotive guitar solo at the end, is that you playing? That was Winston's work, those words. It was the time of hippies, peace and grass, so Winston was just exploiting the mood of the time, really. And yes, it's me on guitar. Q16. What equipment did you use for your guitar sound in Cobra? At first I used a Fender Stratocaster, later a Gibson SG which I've still got and used when recording Diesel's 'Sausalito Summernight', which peaked at Billboard #25 and #1 in Canada in 1981. For amplification I used Marshall. Q17. I've been told that it was particularly hard for Dutch rock bands to get label money/backing to record a whole album in their home country back then, and they were often encouraged to focus on writing radio-friendly pop singles, in search of a 'hit'. Because of this, many bands with great hard-rock potential like Cobra made singles which may have been aimed more at commercial acceptance than what the bands actually wanted to sound like, and unfortunately made no albums. What are your thoughts on this? Did these issues affect Cobra? It's the same everywhere: mainstream radio plays music for the average audience. If you want publicity you have to appeal to a large audience. We were moderately good in getting attention. It all went wrong when Eggermont overdid it with his pop song approach. By that time the band had grown tired of struggling. Myself and bass player Paul Heppener were especially unhappy with the situation. Q18. 'The War Will Soon Be Over (My Love)' reached number 33 in the Dutch charts for two weeks. later-on 'So Dissatisfied' spent three weeks at #31. Did this encourage Cobra to aim higher? You must first score better with singles before a recording company will spend money on you to make an album, we never got that far. Q19. Do you think Cobra had the potential be more successful? The band could have been bigger with some guidance and a better management. Q20. How did the band end? Paul Heppener and I made the decision to leave. We didn't like the lack of development, we disliked the manager who was filling his own pockets. Then Pim van der Linden joined on bass simultaneously with Ben de Bruin on guitar. Cobra lasted for a couple more years without success. Q21. Is there anything notable you can tell me about what happened to any of the other guys after Cobra was finished? Michiel Driessen made a living from having a duo with a keyboard player at parties. He bought his own apartment in the city of 's-Hertogenbosch so he must have been doing well. Winston went into business, he said. He must be a pensioner now, being 71 or 72 years old. Paul Heppener played in a group called Drama, and then later was in Shocking Blue, until singer Mariska Veres died. Ben de Bruin played with Rob Hoeke [and Herman Brood's Flash & Dance Band]. Q22. Do you have any final Cobra memories to share? No, except that we had a lot of fun and I would not like to have missed the experience. So there you have an explanation for how an original band with some initial success and lots of potential could lose momentum and fade away in the harsh pop world. I will be getting some stories on equally good bands from the same period later, so keep TDATS book-marked. I asked Rob some further questions regarding his career after Cobra. Q23. What did you do after Cobra? Can you tell us a little about how you came to play for Maywood (Dutch pop duo)? I play that red Gibson SG, as you can see. This was on a famous Dutch TV show around Sjef van Oekel. The Hammer had the same manager as Kayak. Pim Koopman was Kayak's drummer who later started producing artists like Maywood and Pussycat, for which Mark and myself were often hired as studio musicians. Q24. It seems the band you started called Diesel had some great success, #1 in Canada! Can you tell me some more about them? Later Pim joined Mark and me to form Diesel. Diesel had two hits in the Netherlands and Belgium with Goin' back to China and Down in the Silvermine. We recorded an album, Watts In A Tank. The opening song is Sausalito Summernight, written by Mark Boon and myself. 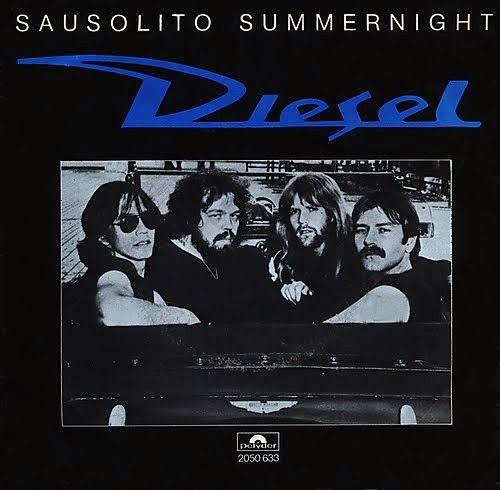 [Sausalito Summernight on youtube] Both the album and the single got charted in the USA and Canada. In 1981 we toured the States and Canada for seven weeks, about forty gigs. Already before the American hit guitarist/singer/composer Mark Boon and bass player Frank Papendrecht had left. Later drummer/producer/composer Pim Koopman left to. Before the tour Mark rejoined. After the tour we recorded another album, without Pim, which flopped. I left. In 1987 Pim and me got together again, singer Jeroen Engelbert joined (he's the singer on the live version of Sausalito Summernight with Kayak in 2010 [below]). In 1987 we had another hit with the song Samantha. Diesel disbanded again in 1989. In 2000 Pim, me and some other guys recorded an album of covers with three original songs. The album was called Diesel on the rocks, You can find it on iTunes. Q25. How did you come join Kayak late in its career? Thanks for your time Rob, and thanks for the music! As well as his musical career, Rob currently writes a weekly column for De Gelderlander newspaper, based in the Gelderland region of Holland. He gives special attention to healthcare, education, employment issues, and social absurdities. You can read his related blog here. Vol96: Interview with Craig Carmody of Heat Exchange. Vols 35, 63, 64, and 86: All Dutch-themed specials.